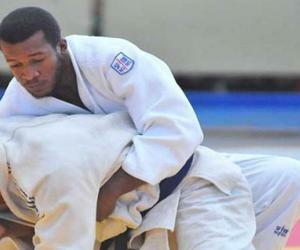 The Cuban judokas won two gold and one silver medals in the Opens of Arlon, for women, and Visé, for men, in Belgium, first stops of their training tour in Europe, at the beginning of the Olympic cycle that will conclude with the Tokyo 2020 Games. Dr. Uvelino Moreno, physician of the Caribbean island delegation participating in the European tour, said that the crowns on Sunday were for Vanessa Godinez (48 kilograms), and Kaliema Antomarchin (78). Godinez, also bronze medalist on Saturday at youth level, defeated Japanese Aoi Ogura by Wazari, while Antomarchin beat in the final French Mathilde Gil. Aliuska Ojeda (57) also competed in Arlon this Sunday, but could not climb to the podium. Menwhile, Jose Armenteros (100), world champion of Cheliabinsk 2014, reached the silver medal in Visé when losing in the final by Ippon to Belgian Toma Nikiforov, world bronze medalist in Astana 2015. On Saturday, Alex Garcia (+100) won the title when defeating by Ippon German Andre Breitbarth, while Magdiel Estrada (73) finished seventh. The next tournaments to be attended by the Cuban judokas on the tour will be on France, on February 11 and 12 at the Grand Slam in Paris, and in Germany, home of the Grand Prix of Dusseldorf on 24, 25 and 26 of this same month.